According to The Sun, Manchester United are demanding Bayern Munich striker Robert Lewandowski in any deal for Anthony Martial. The French international could be on his way out of Old Trafford this summer as his place in Jose Mourinho’s starting eleven is in doubt, but the Red Devils may only let him go to the Allianz Arena if they get a stellar attacker back in return. 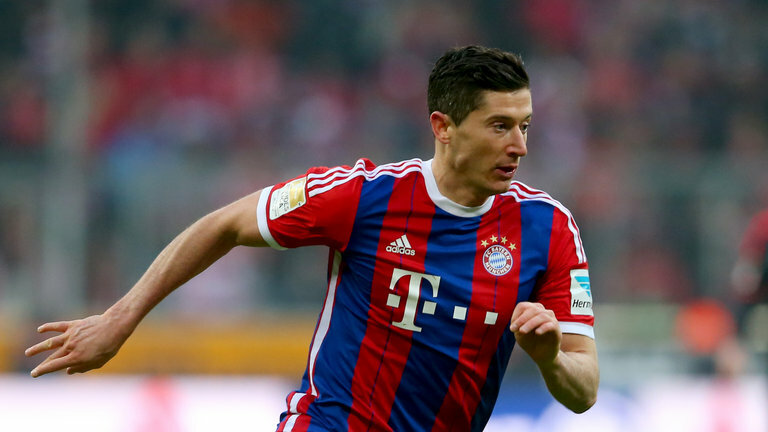 Lewandowski also has an uncertain future and has been linked with an exit from Bayern this summer. Real Madrid are rumoured to be interested in the Polish international but face stiff competition from the Manchester giants for his signature. The 29-year-old joined Bayern from Borussia Dortmund in 2014 and has gone on to score and create 186 goals in 195 games in all competitions, winning four Bundesliga titles and one DFB-Pokal. And while United aren’t short of options in attack, with Martial, Romelu Lukaku, Marcus Rashford, Alexis Sanchez, Jesse Lingard and Juan Mata available to Mourinho, they don’t want to lose a talented player without bringing another in. Lewandowski is more of a centre-forward than wide forward like Martial, however, which suggests he would be competing with Lukaku for playing time.